Many online news media outlets, especially those that were borne out of print publications, have paywalls. You might be able to view a handful of articles, but you have to pay to keep reading. However, some paywalls are stricter than others. Lilah Raptopoulos is the community manager at the Financial Times, where she is responsible for reader comments and all other forms of on-site reader participation. Lilah has had a penchant for community journalism since college, where she developed a self-designed major called New Media Studies to explore how new technology has changed the way people interact with each other and their news. After two years in finance, she joined NYU’s Studio 20 masters program in journalism, where, under media critics Jay Rosen and Clay Shirky, she focused on how journalists can use their community of readers as a resource. 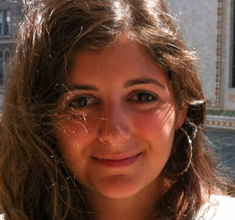 Lilah worked at The Guardian on a number of community journalism stories and projects, including the British Journalism Award-winning Keep it in the Ground environmental campaign. In 2015, she reported from Greece on the human side of their financial crisis. She has been published in the FT, The Guardian, Public Radio International, Quartz, BuzzFeed News and Fusion. [00:00:24] Patrick O’Keefe: Hello and thank you for joining me for this episode of Community Signal with Lilah Raptopoulos, community manager at the Financial Times about how paywalls and wealth affect commenting sections and, given the resources, the next big feature she wants for the FT’s comments. 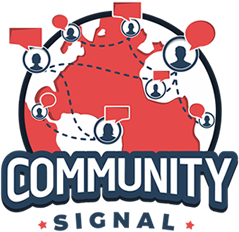 If you like Community Signal, please join our community of supporters on Patreon including Dave Gertler, Joseph Ranallo and Sarah Judd Welch. Find out more at communitysignal.com/innercircle. Lilah Raptopoulos is the community manager at the Financial Times, where she is responsible for reader comments and all other forms of on-site reader participation. Lilah has had a penchant for community journalism since college, where she developed a self-designed major called New Media Studies to explore how new technology has changed the way people interact with each other and their news. After two years in finance, she joined NYU’s Studio 20 masters program in journalism, where, under media critics Jay Rosen and Clay Shirky, she focused on how journalists can use their community of readers as a resource. [00:01:40] Lilah Raptopoulos: Thanks very much, Patrick. [00:01:56] Lilah Raptopoulos: That’s amazing. [00:01:57] Patrick O’Keefe: -I’ve owned stocks since I was 11 and not a lot, mind you, I think it was Atari. My grandfather bought me Atari stock, the video game console. I used to love reading and watching the stock market, so familiar with the Financial Times, always love good financial publications. It’s a pleasure to have you on. [00:02:12] Lilah Raptopoulos: That’s funny, that’s great. [00:02:13] Patrick O’Keefe: Give me a sense of the scale of comments at the Financial Times. How many you see, how many people are making them, who’s on the team responsible for them? [00:02:22] Lilah Raptopoulos: Sure. Thanks again for having me. I’m a fan of the podcasts, so it’s great to be talking with someone else in community about this sort of thing. [00:02:28] Patrick O’Keefe: My pleasure. [00:02:29] Lilah Raptopoulos: The Financial Times as a news organization has about 850,000 or almost 850,000 subscribers and the people who comment have to get past putting their credit card information in to actually have commenting abilities. There are some registered users and also some subscribers, but there is quite a high barrier of entry just in getting in. The volume we see, and I can’t give you exact numbers, but the volume we have is probably smaller than some of the other big news organizations, but a pretty regular group of very active commenters. We have comments on almost all of our stories, save for a few topics and individuals. Sometimes we’ll turn comments off on things. We have regular communities that comment regularly on topics across the board. It’s a pretty vibrant community, but our numbers are really pretty manageable. I oversee a small team of comment moderators to ensure that the reader discussion onsite is insightful and civil and thought provoking. I manage strategy for them and we keep in touch all day about stories and commenters keep an eye on it, things like that. I also sit on the audience engagement team which sits in the newsroom as it expands discipline. So it’s a social media team and there’s a digital editor who helps the news and prioritizes online readers. When building projects, the digital analyst and some data analysts and head of SEO. Among all of us, I’m the one who’s really focused specifically on onsite reader participation and a part of that is comments. [00:03:54] Patrick O’Keefe: You mentioned the barrier of entry. The Financial Times has a hard paywall. I went to the website to try to read some of the comments and I couldn’t, so I went to Twitter knowing that some publications allow you to view links, view some articles through links on social or search and I was able to view a crane tall of one story and then no more. I was like, “Should I email for a log in?” I’m like, “I’m not going to bother.” That is strict, I don’t say that to be critical, it’s just we all have different strategies and certainly news media have different strategies as far as the paywall and how that works and getting people to subscribe, but beyond lowering the quantity of comments, how do you think the paywall affects your comments sections? [00:04:50] Patrick O’Keefe: Have more of a qualified audience. [00:04:52] Lilah Raptopoulos: Right. That means that some of these issues that a lot of news organizations with more open paywalls or no paywalls have are things we don’t have to worry about. But it does mean that, yes, we have fewer comments and it means that we have different issues that we’re facing around contentious topics than a news organization that doesn’t have such a high barrier to participate. [00:05:14] Patrick O’Keefe: In a way, you’d have less to deal with that would fall into what is typically considered capable for automation to take care of, right? A lot of the repetitive things that happen at a high volume of comments. You touched on spam; generic, repeated actions that happen over and over again are more likely to be things that an automated system can handle. In your case, it’s probably more along the lines of the nuances of human communication getting that get in the way [laughs] and that require people to look at them. [00:05:47] Lilah Raptopoulos: Yes. And actually, in some ways, once you’re focused on that, it makes some of the decisions a little bit more complex. Amanda Zamora, who’s from the Texas Tribune, she said at a point in her conference that I was at last year, that moderated comments spaces are more important than ever to civil discourse because they’re one of the few spaces online where you can interact respectfully with people with whom you disagree and you don’t have the trolls that you get on social media and you don’t have the filter bubble that reinforces your world view in the same way and because there are moderators there to ensure the conversations stay civil and on topic and there are members in the community that have been around for a long time that are really looking out for each other and have a pretty high bar. Our membership, they have low tolerance for uneducated comments or trivial things. They like to keep the bar high and they go condescend to those who don’t write thoughtful things. That’s great. When that stuff is in place, and we don’t have to deal with trolls, then people can have and read conversations that maybe rarely exist for them in real life or on their social feeds. That’s really important to me about comments and what I like about the FT. The FT is also interesting because it’s, in some ways, politically in the middle of– At least in the recent YouGov survey of how Britain voted in the recent election, they broke it down by newspaper readership and the FT was pretty smacked in the middle of labor versus conservative breakdown. It gets readers with different opinions. I often feel like the ethicist, sort of, when looking at reader comments on highly political topics, because for the vast majority of our comments, they’re quite good quality and they’re interesting and they’re funny and they’re respectful and they’re intellectually stimulating and they add insight or comedy or whatever it is to a story, but the issue I face often is that commenters are this self-selected subset of our readership that research, in general, tells us that outside of the FT just across the board, commenters skew male and skew older. And we know, of course, that FT viewers also skew probably older, skew a little wealthier than average, probably skew a little bit more male. I struggle with this fine line of what to do around tricky nuanced issues like gender, and race, and religion, and migration, and other politically charged topics. [00:08:01] Patrick O’Keefe: We all have our communities. [00:08:02] Lilah Raptopoulos: Yes, [laughs] exactly. [00:08:04] Patrick O’Keefe: [laughs] We all have our different people. [00:08:05] Lilah Raptopoulos: Yes, it’s true. There isn’t really a one size fits all. You talk to different community managers in the news business and what works for The Guardian or what works for The Washington Post, or what works for The New York Times, won’t work for the FT or parts of it will and you have to do a bunch of experiments to figure out what’s best. [00:08:23] Patrick O’Keefe: How do you think that wealthier part– That the audience may be more wealthier than other publications, influences the comments, if at all? I mean, the obvious way is just in the sense of what they care about, obviously, is different [laughs] than someone who has less money. They have different concerns about the world. It’s just interesting because, as I say, we all have our community, and who they are impacts how they see issues and how they talk about things. A community about day trading has a different viewpoint of things, maybe on average than a community about another topic that could be parenting or maybe it’s a community of renters, a community of home renters who talk about how to deal with landlords. I mean, there’s communities for everything. Everything we do, there’s a community out there. It’s interesting to think about the differences in audience and how being wealthier means the comment section is this. [00:09:11] Lilah Raptopoulos: Right. I would say, my concern sometimes is about diversity and diversity of opinion or diversity of experience and not coming out of topics especially, again, politically nuanced ones. An example would be if you had a commenter who has commented very thoughtfully on a number of topics, and there’s a topic about the European migration crisis and they leave a comment that could be considered Islamaphobic, right? It’s careful in its wording, but clearly prejudiced. Or maybe a questionable interpretation of the facts and it gets a hundred likes. If you delete it as a moderator, you lose the opportunity for someone to respond and have a conversation happen that could actually build empathy and develop these opinions. [00:09:55] Lilah Raptopoulos: I’ve seen it happen before in our comments, you delete the comment and the opportunity is gone, and the person and all those who agree with them continue on unchallenged and convinced of media bias really, right? But then you don’t delete it and the conversation doesn’t happen and that common thread could just make a Muslim reader feel maybe unwelcome on our pages and not willing to participate in a place where otherwise, if it felt more open to that point of view, might. And I don’t want that either. [00:10:24] Lilah Raptopoulos: Got to do something, right. [00:10:25] Patrick O’Keefe: You’ve got to do something, right? [00:10:27] Lilah Raptopoulos: Right, exactly. There’s a couple things I’ve tried. One is, sometimes on gender stories, a lot of the comments will come from people with very male pseudonyms or who self-identify in their comment as a man, and you notice that there aren’t really people identifying as women commenting. So I’ll jump in or I’ll have to ask a reporter to jump in and ask for stories from women readers about the topic. Most recently, we did that in a series called “Management’s Missing Women”. The whole series was about what the biggest corporations in technology and in financial services are doing to encourage more women at the top and how, despite a lot of diversity initiatives, it still wasn’t happening, so what actually was and what actually works, et cetera. When we did that, it pulled a lot of people out of the woodwork who wouldn’t normally probably comment. And a lot of stories came out from women about experiences they had had in their workplace, what opportunities were provided for them or what weren’t, or what worked and what didn’t and that sort of thing. It made for a fascinating conversation. There was a lot of interesting interaction between people who otherwise maybe would have disagreed or wouldn’t have heard from each other or wouldn’t have had a chance to communicate. We pulled together some of the best and republished those online which continued the conversation. It really worked. We’d done it also for young people, Millennials who didn’t vote in the Brexit referendum and we asked for young people’s point of view and that unearthed a lot more than would have otherwise been there. Again, that became a story for us. That works but of course, it’s time consuming and we’re publishing a lot of stories in the day and our community resources aren’t super extensive. So, knowing that that’s a thing that works, you think, “Okay, what else could work?” Or do we turn all the comments on certain topics like equal pay or gender wage gap, off to comments, but leave a few on when we really have the resources to participate? Or, do we turn the comments off, but ask for people to submit in a different way, like to share in sort of a callout form or to share via email and then we publish the best of those. There’s a lot of things we can try, but it’s interesting because, again, I feel strongly that sometimes these active conversations, when you have two people who disagree in a space where they know that they’re not going to necessarily be attacked, that there are moderators there. Sometimes, you can see conversations on our threads that really feel very productive and really interesting where people are connecting in a way that otherwise, you don’t always see on Twitter where everyone who you’re talking to agrees with you. So, it’s just about finding that happy medium and figuring out how to scale it. That’s something I’ve been thinking a lot about recently. [00:12:56] Patrick O’Keefe: Of course, anything revolving around religion and politics is always so difficult. [00:12:59] Patrick O’Keefe: First of all, if you don’t have to have those discussions, don’t. [laughs] That’s I always tell most of them. If your community, again, to go back to our example of day traders, you don’t need to talk about religion. [00:13:09] Patrick O’Keefe: Just stay away from it. [00:13:09] Lilah Raptopoulos: Right. They’re doing fine. [00:13:10] Patrick O’Keefe: Yes. They’re doing perfectly fine, doing what they’re doing. Same thing for parenting. Like, really, parenting, you can probably avoid to eat a lot of stuff if you really want to. [00:13:18] Lilah Raptopoulos: Some of our most interesting comment threads are about real estate in London. It’s people with horror stories about trying to buy and that sort of thing. There’s some communities in there that are always gold. They’re interacting in really interesting ways and you don’t have to interfere really at all. [00:13:32] Patrick O’Keefe: Why can’t it always be about real estate? Why is life so complicated? [00:13:37] Patrick O’Keefe: What I was going to say is that, if you’re going to have those discussions, then you want them to be respectful. The line is always deciding how much criticism is allowed until it verges into something more, right? [00:13:48] Patrick O’Keefe: Because, you can criticize Islam without being Islamophobic. You can criticize Christianity without hating Christians. You can criticize atheism without making it some sort of spiel about atheists. [00:14:00] Patrick O’Keefe: So, if you’re going to have those conversations, where does the line fit? That’s always the tricky thing, but you have to write that into your guidelines somewhere and come up with some sort of line and then defend that line. Otherwise, it’s so tough and it’ll feel arbitrary. [00:14:13] Lilah Raptopoulos: Yes, and you also have to really commit a little bit of time to explaining to people, when they are frustrated by a comment being deleted there or getting a temporary ban whatever it is, that our line may not necessarily be your line and that’s okay. [00:14:28] Lilah Raptopoulos: But on our site, we have to abide by our line. [00:14:30] Patrick O’Keefe: Let’s take a break and talk about our sponsor, Higher Logic. Higher Logic is the community platform for community managers with over 25 million engaged users in more than 200,000 communities. Organizations worldwide use Higher Logic to bring like-minded people together by giving their community a home where they can meet, share ideas and stay connected. The platform’s granular permissions and powerful tools, including automated workflows and consolidated email digests, empower users to create their own interest-based communities, schedule and manage events, and participate in volunteer and mentoring programs. Tap into the power your community can generate for you. Higher Logic, all together. In the pre-show questionnaire, you told me that your comment readers are among your most loyal and engaged subscribers, and that you “Do a lot of research to prove the value of comments and active reader participation to the business.” Tell me about those numbers and about the measured value of commenters and comment readers versus everyone else. [00:15:22] Lilah Raptopoulos: I spent the first half of this year or actually, I’ve been working on this for a while, doing a lot of research into how much more engaged, as you were saying, our commenters and our comment readers are. Some of the things we found are one, that our commenters are seven times more engaged than our non-commenters and even people who read comments are six times more engaged than people who don’t read comments. We also found that after a reader leaves their first comment, their level of engagement on the site jumps, and it stays increased for at least three months that follow, and often much longer. There was this MIT study about the ladder of participation that came up probably about a year ago. It showed that as users become increasingly engaged to the website, they become more willing to pay for its services and we see that too. It proves the obvious, what research we did, which is that once you join a community, you feel more loyal. [00:16:11] Patrick O’Keefe: Have you started tying subscribers, like people who are paying, to activity on the site so that you know that commenters are more likely to stay or they’ll say subscribe longer, anything along those lines? [00:16:22] Lilah Raptopoulos: That’s a good question. We know that commenting is tied to retention. We measure engagement as a company with an engagement score that looks at how much time users spend on our site, how much journalism they consume when they come, and how often they come back, so that’s the engagement score that I use generally to evaluate our commenters and our comment readers compared to other people. We’ve done some qualitative surveying of our commenters, asking them for their thoughts in the comments through customer research, asking them for their perceived civility of the comments and what they liked about them or what they don’t like about them, why they read and why they don’t read, why they comment, why they don’t comment. We found the perceived stability of comments was quite high with only about 2% saying they thought that our comments are very uncivil. Almost 70% said they’re very or somewhat civil, which in comparison to– an Engaging News Project study was a bit higher than average, which is great. The other thing I thought was interesting was the top reason they said they liked the comments is that they add insight and that they show different opinions, so to understand other people’s views. Why they comment, the number one reason was to add information or insight. Again, it was interesting and this is a nerdy thing that only probably a few of your listeners would be interested in, but in that same survey, that again, the Engaging News Project, I think Talia Stroud, did a survey of about 20 news organizations and their commenters. Their number one reason that they said that they commented was to express an emotion or opinion. For our readers, it was to add information or insight. That says a lot about our commenting base. [00:18:04] Lilah Raptopoulos: Maybe they think they’re right, but also that they feel they’re experts in certain topics, and that the comments are a place for them to share their expertise. [00:18:12] Patrick O’Keefe: In June, you tweeted about an article titled “Media Companies Are Getting Tired of Facebook” [editor’s note: sick, not tired], about basically the media industry and the growing frustration that various outlets have with Facebook. Are you tired of Facebook? [00:18:26] Lilah Raptopoulos: [laughs] That’s a good question. My job is focused specifically on on-site reader participation for the most part. We have a social team that focuses on Facebook and Twitter, but I don’t really spend a lot of time on it. I also feel a little bit protective of the community that we’ve built on ft.com. Although, it would be worth it to me for us to build certain communities on a place like Facebook that wouldn’t have a space on ft.com, I would never want to lose our community on ft.com to Facebook. I think that you’ve talked about it quite a bit on air. [00:19:01] Patrick O’Keefe: Well, the thing about that article that I liked, the quote that really caught my eye was the person from CNN who’s heads digital said, “Facebook is about Facebook.” [laughs] I was like, “Damn”, and you’re right. [00:19:11] Lilah Raptopoulos: I think two things. One is that we have this robust community of commenters on site. Even though a very small percentage of our readers comment, like most news sites, a surprisingly shockingly large percentage of them read the comments. That’s important to us, because these people are, again as you know, our most loyal and engaged subscribers. We care about growing that community, because they’re in our sphere. They’re on our site, they’re having conversations based on our guidelines. It’s a space where they can interact with our journalists. We don’t want to lose them to off-site platforms, which are often thinking quite commercially about creating an experience that’s quite addictive. [00:19:48] Patrick O’Keefe: The thing is when you have your data, no matter how small the percentage is, it’s still yours. You can still connect those people, unless you introduce some sort of complex Facebook Connect type thing, the subscriptions, and why would you do that, somehow the API within Facebook Pages and/or Groups gave you access to that information which could be taken away at any time. You really have no way of knowing the Facebook commenter is not some drive-by that doesn’t give you any money or support your publication at all, or that they convert one day into a subscriber, you have no idea. Where at least on your site, you can tie those comments to people who you know are actually loyal subscribers who have been subscribers to the FT for a month, ten years, five years, who stay with you for years. Just the direct access to the data is incredible. [00:20:32] Lilah Raptopoulos: Absolutely. It’s very helpful for us to know where our commenters are and what sorts of things interest them, so that we have a better sense of what we can provide them and if we gave that to Facebook, we wouldn’t have any of it. [00:20:56] Lilah Raptopoulos: I mean that in a kind a way. [00:20:57] Patrick O’Keefe: Okay, yes. I didn’t take it in a bad way, although if I was the one being condescended to, I’m not sure that I would, right? [00:21:03] Patrick O’Keefe: I want to talk about your guidelines a little bit and how they apply to your writers and your community and how that might differ, right? Because your community guidelines say that people should “Keep it respectful: criticize ideas not people.” They say, “Please do not insult others. Disagreements and criticism are fine, but making your comments personal is not. Please be polite, we do not allow comments that are needlessly aggressive or rude.” Great guidelines. I like your guidelines, I like your community guidelines quite a bit. Now, separating the argument, “obvious to anybody with a brain cell.” And in another comment he told a reader, “In brief, you are an idiot.” Now though the guidelines say you’re not permitted to call names, the question I’m rolling around in my mind as I read through this, is we all have different interpretations of “please do not insult others”, and what constitutes making a comment personal and name calling. But the question that came to mind was, if these comments were made by your average reader and subscriber to FT, would they have been allowed? [00:22:24] Lilah Raptopoulos: I know. This is an interesting one because Martin Wolf obviously is incredibly esteemed. Although we, for the most part, don’t even allow our journalists to violate our guidelines, he has developed a reputation that our commenters find quite entertaining and funny, of sort of having this unique relationship with commenters where he’ll say things like for example, “Anyone with a brain cell would know”, something so incredibly complex that, of course, many people reading probably wouldn’t. So I would say that that was probably one that was more appreciated by people who are part of the FT community, who know the quirks of the community, but outside of it, understandably, it would seem quite like a flagrant violation of our guidelines. [00:23:11] Patrick O’Keefe: No doubt that that kind of thing has to make your job a little harder. [00:23:14] Patrick O’Keefe: [laughs] Because most of the people who read the comments on FT probably aren’t aware of the insider baseball that goes on there, so they might– Anyone with a staff badge, they’re going to look at as a signal of how to participate for better or worse, right? So if they’re signalling “I don’t have a brain cell”, that’s got to make your work a little more difficult in getting people to be civil. [00:23:36] Lilah Raptopoulos: Sure. Sometimes our columnists who write about politics get among the highest volume of comments across the board and because of course their faces and their identities are attached to what they’re writing, their commenters use their first names. It can get insulting sometimes, which we are careful to not allow, but it can take a toll on our columnists sometimes to an extent that sometimes they’ll get really frustrated and respond by violating our guidelines. Sometimes our commenters will never let us live it down. Sometimes we get comments saying, “Well, that one time that that columnist insulted me, if you allow that, then why don’t you allow this?” That sort of thing. But in the scheme of things, the one thing I do like is, regardless of how our columnists may feel, they have probably complex relationships with their commenters. They are also quite involved and a lot of times they’re commenting in really interesting ways and adding a lot of insight. [00:24:36] Lilah Raptopoulos: Right. No, they don’t ever get the Wolf pass. [00:24:39] Patrick O’Keefe: I’ve seen all sorts of comments. I spent time looking at comments that people highlighted because the way that people would see it from the outside is through these screenshots that you and other people on Twitter post. Plenty of excellent comments and comments that would fit the mold of just wonderful, engaging, helpful comments, many of which you highlighted. I was just curious about the standards and how they apply. 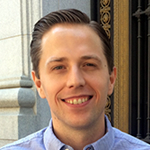 [00:25:00] Patrick O’Keefe: You’re currently making a case to get more resources to improve your commenting platform. If you get those resources, what do you want to do, what are you excited about? [00:25:08] Lilah Raptopoulos: Good question. The first thing I want to do is, I really want to find ways to easily put more of our good comments in front of more of our readers. As of now, you can go to the bottom of the story and filter it by most recommended if you want to and get a sense of what people are talking about on a certain story or in response to a certain story. But if you’re interested in Brexit, and we know that you’re interested in Brexit because you’ve sort of, myFT, which is your personalized list of topics that you want to be alerted about, is Brexit and EU referendum or whatever the topics are that you choose. Then, are there ways for the FT to put the best comments that come out into your path, that might be of interest to you, in some automated way. That would take some production work. Right now, the one way to do it is for me or some editors or anyone else on the staff to search the FT [laughs] below stories for great comments, and it’s a very manual process. It’s something we do occasionally, but it takes a while, so we can’t do it on a regular basis. But if we can put some production work behind it, then we can build a system that takes comments that are some of the most recommended and from commenters that have very low approval to rejection ratings on their comments and who get a lot of recommends overall and have been commenting for a while or haven’t been commenting for a while and can collect some of those best ones into a system. This is my ideal set up into a back end that I can just say, “Yes, approve, reject, approve, reject. This is a great feature comment. This one, not so much. This is a great feature comment.” Then those comments can shoot themselves off into different parts of the site or into email newsletters or into email alerts or anything else, that would be awesome. Part of the reason I would want to do something like that is because we know that– Again, that ladder of participation thing, that our comment readers are really loyal and our commenters are really loyal. If we could get our comments in front of more of those people, and remind them that they exist, and that they’re good, and they’re interesting, and that they’re an addictive space that can be put quite insightful on ft.com, then we can get more people engaged. [00:27:25] Patrick O’Keefe: I like that idea a lot. I hope that you get to do it. [00:27:28] Lilah Raptopoulos: Thanks. I’m working on it. [00:27:31] Patrick O’Keefe: I’d love to stay in touch on that, but Lilah, thank you so much for coming on the program and for sharing your experience with us. [00:27:36] Lilah Raptopoulos: Sure. Thanks a lot, Patrick. It’s been a pleasure. [00:27:38] Patrick O’Keefe: We have been talking with Lilah Raptopoulos, community manager at the Financial Times. Follow her on Twitter @lilahrap, that’s L-I-L-A-H-R-A-P. For the transcript from this episode plus highlights and links that we mentioned, please visit communitysignal.com. Community Signal is produced by Karn Broad. We’ll be back before you know it.